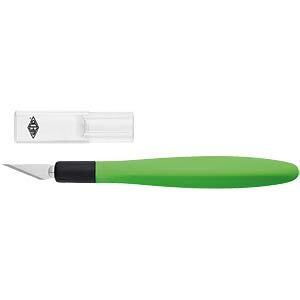 The Comfortline hobby knife is not only a precise tool that fits comfortably in the hand and is excellent to work with. It also features an impressive shape and colour. 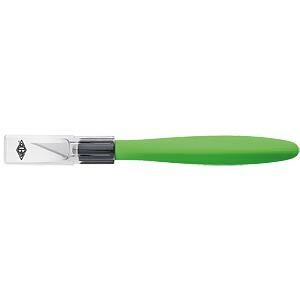 The triangular shaped blade shaft has a velvety feel and brings a trendy apple-green colour to the work bench. 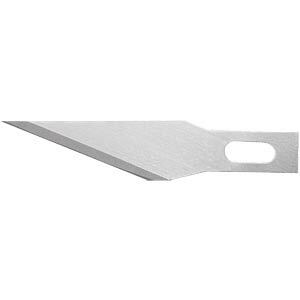 The pointed, razor-sharp blade is ideal for fine cutting work. For safe storage, always replace the protective cap.